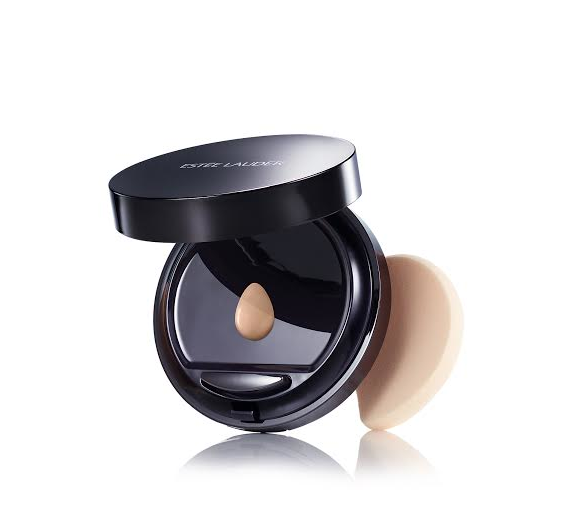 Estée Lauder introduces NEW Double Wear Makeup To Go Liquid Compact for 8-hour wear at the push of a button. A new Double Wear formula for the modern woman on the go. Infused with a boost of intense hydration and housed in a spill-proof, mess-free liquid compact for a long-wear, customizable finish anywhere, anytime.  A Tri-Moisture Complex of Hyaluronic Acid, Glycerin and Muru Muru Butter to immediately infuse and lock-in replenishing all day moisture while helping to improve skin’s hydration over time.  Argireline and Milk Thistle Extract work together in a Skin Smoothing Complex to help minimize the appearance of lines and wrinkles and even skin tone to create the perfect canvas for effortless makeup application.